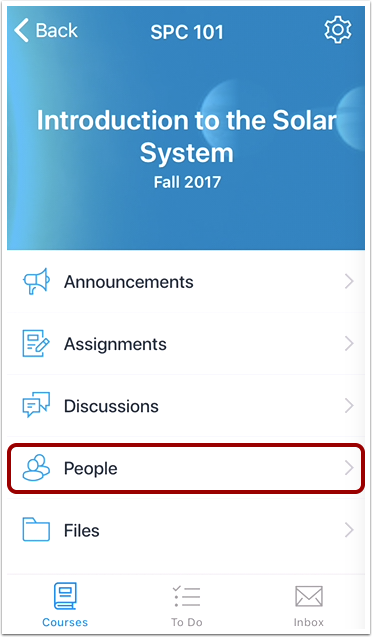 In Canvas Teacher, you can view all users that belong to a course. Users can also be filtered by user role. To find for more information on a user, view the user's context card. 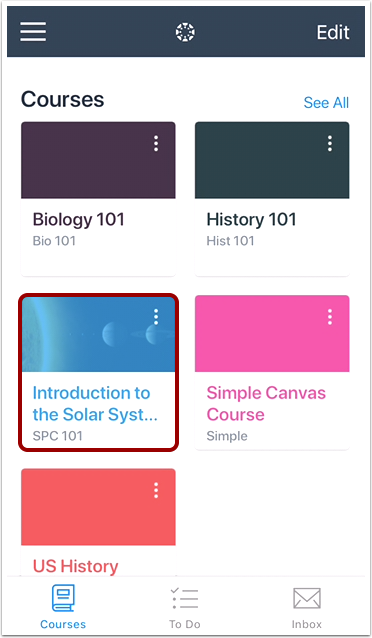 In the Courses tab, tap the name of the course you’d like to view. People displays all the users that belong to the course. To filter the people displayed on the page, tap the Filter link . Then tap the user role filter button for the role you want to view . To view the context card for a user, tap the name of the user. View the user's context card. 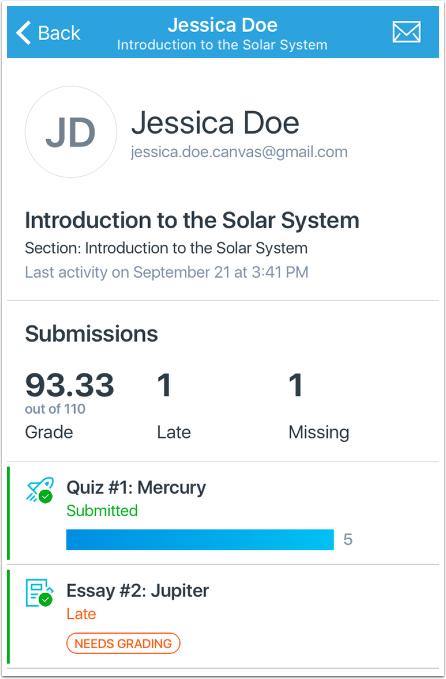 Previous Topic:How do I view Pages in the Teacher app in my iOS device? 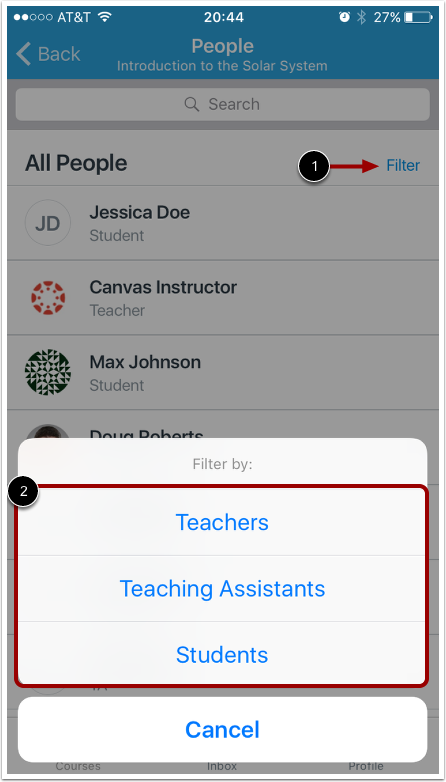 Next Topic:How do I view context cards in the Teacher app on my iOS device? 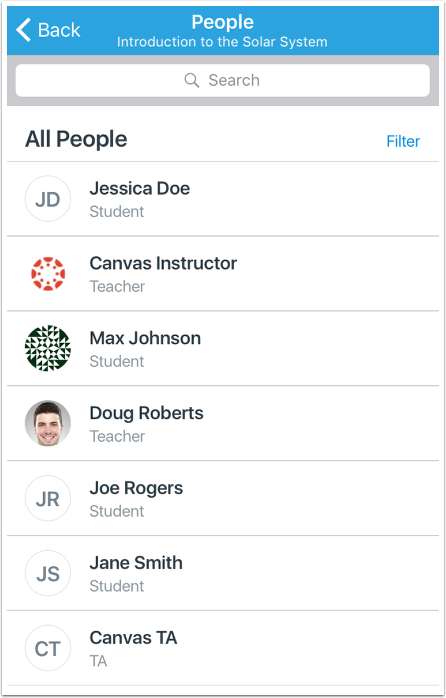 Table of Contents > Courses > How do I view People in the Teacher app on my iOS device?